CDJ Mobile Disco is available for any special occasion and event you have planned. We are experts at playing at Christmas parties, birthday parties, weddings, Motown nights and Northern Soul Nights as well as church functions, business meetings and events. We pride ourselves on offering a personal service. We are knowledgeable in the music selection process and can advise accordingly. times. We believe that the way we present ourselves is not only a reflection on us but of you as well. We are always dressed smartly in formal clothes (unless you stipulate another form of dress code perhaps to tie in with your event theme). CDJ provides a number of different wedding DJ hire packages to make your big day as memorable as possible. 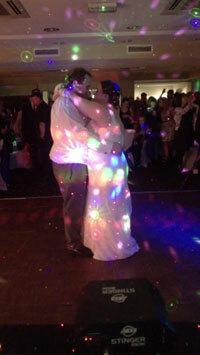 Operating in and around the West Yorkshire area, we are Leeds number 1 mobile DJ for weddings. CDJ has performed for weddings in; Ramada Encore, Barnsley, Waterloo Suite Huddersfield, Queens Hotel Leeds, Kings Croft Hotel Pontefract, Cedar Court Wakefield, Crown Plaza Leeds. We are experienced and offer a competitively priced service to make sure your Wedding Day and night is everything you could possibly want. We do not just DJ at Weddings, but Civil Partnerships and Vow Renewal as well. CDJ offers the same level of service and customer satisfaction no matter the ceremony. One of the most important part of any wedding reception is the first dance. It’s a memory that will stay with you forever. When it comes to picking the right piece the choice is down to you. From the classics such as, I Do (Cherish You) by Mark Wills, or Truly, Madly, Deeply by Savage Gardens to the modern choice of a dance routine with songs such as This Is The Right Time by Lisa Stansfield or All Night Long by Alexandra Burke Feat. Pitbull. CDJ can make sure that this song will not be forgotten by yourself and your guests. 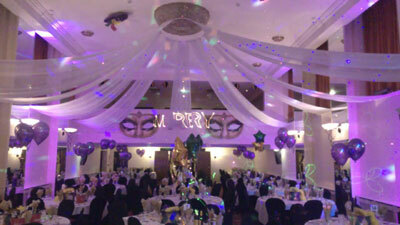 If you are planning a kids party then let us worry about the music. We have all the songs and music to make sure your kids' party is off the charts. We spur on involvement and participation from all the children by encouraging them to dance and have fun. We also arrange games to help the shy kids open up and enjoy themselves and are practiced at using games as an icebreaker. We play only the most appropriate music for children and we are extremely vigilant when it comes to foul language and inappropriate content in songs. We are also CRB Police checked making us eligible to work with children.